Also known as L-Ascorbic Acid or Vitamin C. Ascorbic acid is a naturally occurring organic compound with antioxidant properties. Ascorbic acid is one form of vitamin C. It dissolves well in water to give a mildly acidic solution. 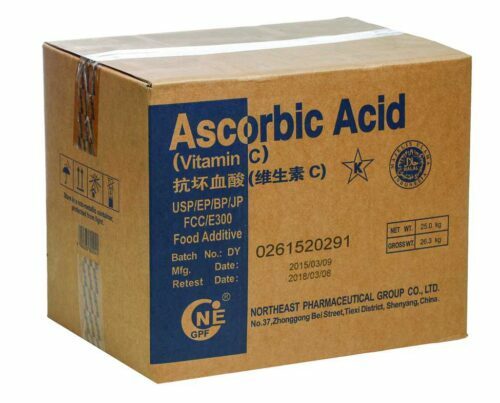 As an additive to food and feed, ascorbic acid enhances the product quality and stability. What this means is that when added to foodstuffs during processing or before packing, ascorbic acid protects color, aroma and nutrient content. The use of ascorbic acid does not depend on its vitamin action. In meat processing, ascorbic acid makes it possible to reduce both the amount of added nitrite and the residual nitrate content in the product and to preserve the color of the meat product. The addition of ascorbic acid to fresh wheat flour improves its baking qualities. Most important in baking is the dough-strengthening effect of ascorbic acid in order to prevent the collapse of the dough during fermentation and baking steps. In addition ascorbic acid protects from enzymatic browning in processed fruits and vegetables and increases clarity of wine & beer. Though added to processed meats in the US & Europe ascorbic acid may not be added to fresh meats, because it prevents the discoloration and may give a false appearance of freshness. Calcium Ascorbate is the calcium salt of ascorbic acid. In addition to their use in foods as antioxidants, calcium ascorbate is added to some foods as a source of Vitamin C. These food sources constitute a significant proportion of the total ascorbate intake of the general population. Calcium Ascorbate is used extensively as a preservative, color stabilizer (prevents browning of fresh-apples, peaches and other fruits) and for related functions in various foods and beverages. Also known as Vitamin B12, Cyanocabalamin is a man-made form of vitamin B12 used to prevent and treat low blood levels of this vitamin. All vitamin B12 compounds contain the cobalt atom in its trivalent state. There are at least three active forms: cyanocobalamin, hydroxocobalmin and nitrocobalamin. Vitamin B12 is a component of a coenzyme which takes part in the shift of carboxyl groups within molecules. As such it has an influence on nucleic acid syntheses, fat metabolism, conversion of carbohydrate to fat and metabolism of glycine, serine, methionine and chlorine. The cobalt gives this water-soluble vitamin its red color. Vitamin B12 is naturally found in animal products, including fish, meat, poultry, eggs, milk and milk products (ie: cheese). Vitamin B12 is generally not present in plant foods, but fortified breakfast cereals are a readily available source of vitamin B12. Also known as Isoascoribic acid, erythoribic acid is a natural product, vegetable derived food additive produced from sucrose. 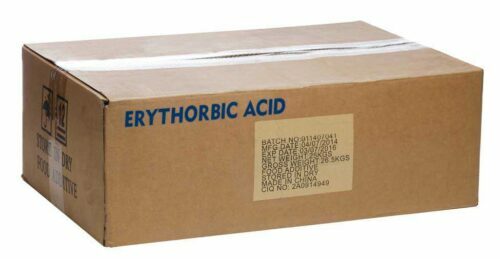 Erythoribic acid is an important antioxidant in the food industry, which can keep the color, natural flavor of foods and lengthen food storage without toxic and side effects. 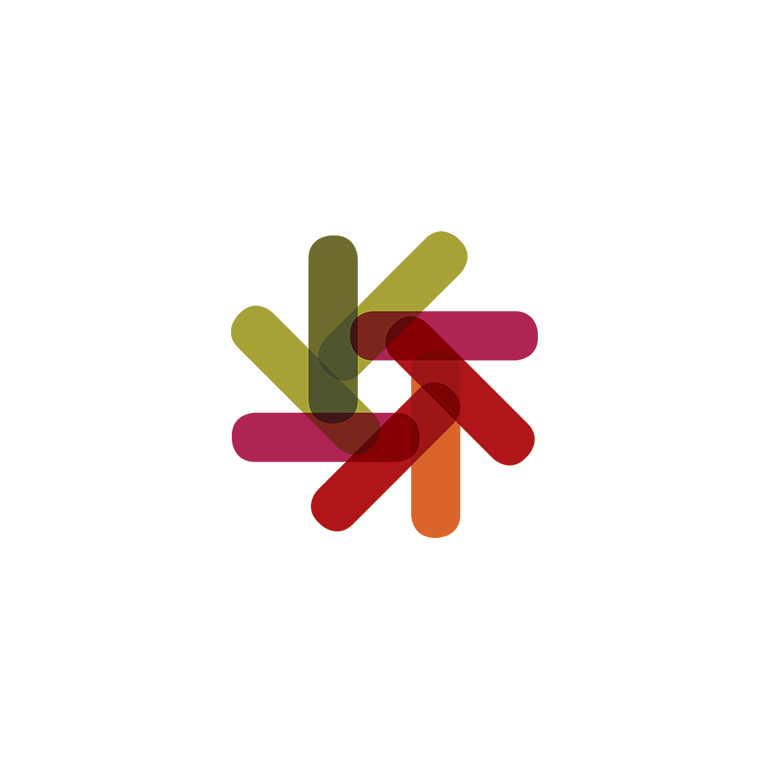 Erythoribic acid is used in cured meat processing, frozen fruits, frozen vegetables, jams, and in the beverage industry such as beer, grape wine, soft drink, fruit juice and fruit teas. Erythoribic acid's use has increased tremendously ever since the U.S. Food and Drug Administration banned the use of sulfites as a preservative in foods to be eaten fresh (ie: salad bar ingredients). Also known as vitamin B6, Pyridoxine is required to help the body convert food into fuel, metabolize fats and proteins, maintain proper functioning nerves and produce red blood cells and cells of the immune system. B6 can be found naturally in many food sources such as fish, milk, cheese, poultry, beans, spinach, carrots, whole grains, bananas plus fortified ready-to-eat cereals. B6 is also available as a dietary vitamin supplement. Also known as vitamin B2. Riboflavin works with other B vitamins and is important for body growth, red blood cell production and helping with the release of energy coming from carbohydrates. B2 is not stored in the body so it must be replenished every day from a diet of dairy products, eggs, green leafy vegetables, lean meats, beans, milk and nuts. Many breads and cereals are often fortified with riboflavin. Sodium ascorbate is a form of vitamin C that's been bound to the mineral salt sodium. The basic properties and health benefits are virtually identical with ascorbic acid, but the mineral salt buffers and therefore lower’s the acidity of ascorbic acid and is a gentler way to get your daily allowance if ascorbic acid irritates the stomach. As a food additive, sodium ascorbate is used as an antioxidant and an acidity regulator. Also known as Vitamin B1, Hydrochloride is a vitamin that occurs on its own in many different foods, or is combined with other B vitamins in a B-complex supplement. This nutrient serves several important functions in the body, including assisting in nerve conduction and digestion. Since the body doesn't store thiamine, the supply taken in by a balanced diet only lasts about two weeks. Natural sources are whole grains, seeds, nuts, beef, pork and milk. Since grains that are used to produce white breads are stripped of thiamine, manufactures add back in by fortifying the product. 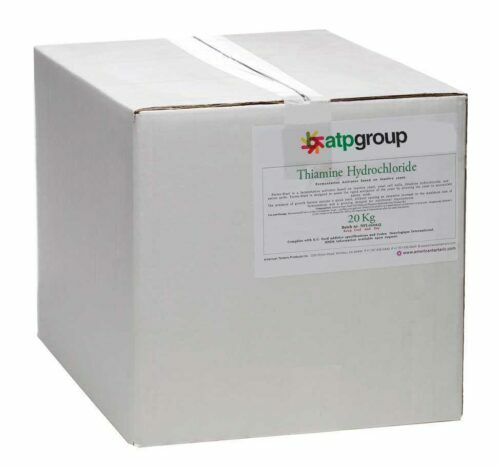 Thiamine hydrochloride can be found in supplement form, either on its own or with other vitamins. Also known as Vitamin E, Tocopherol is needed in the body to prevent problems of the central nervous system and known to help the body fight off chronic disease by helping to resist oxidization in the blood. Tocopherols are naturally found in vegetable and nut based oils, seeds including whole grains. In addition vitamin E is added as a supplement in commercial breakfast cereal and tomato sauce. Tocopherols are sometimes used as a food preservative to prevent oils from going rancid.